Having trouble deciding on the perfect gift? Our gift certificates are the ideal solution. Simply choose a pre-selected amount, then enter a recipients name, email address and message. An email will then be sent to the recipient with a gift certificate code for use on our site and will include your message. 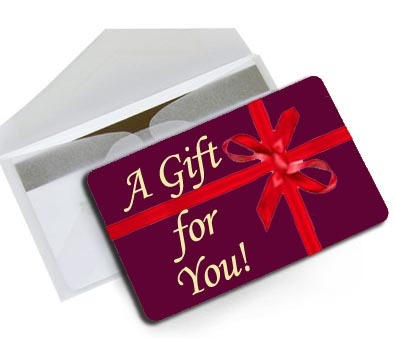 There are no fees, or extra charges, or expiration date for gift certificates. *Online gift certificates are not redeemable in stores.